Every time I go to the beach for R & R, God uses the time to teach me principles about who he is and how He works. This trip was no different. In fact, because He is so faithful to do this, I have begun looking forward to each trip in part, for what He will teach me, and what He will allow me to teach others. I anticipate He will teach and I am ready to learn. This trip was earlier in the year than normal for us and the weather has been much cooler. 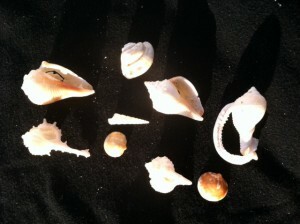 One of my favorite things to do at the beach is look for seashells. I LOVE shells and our home attests to that! The weather was not conducive to hours on the beach that we are normally used to on our September trips. But I still combed the shore for daily treasures. 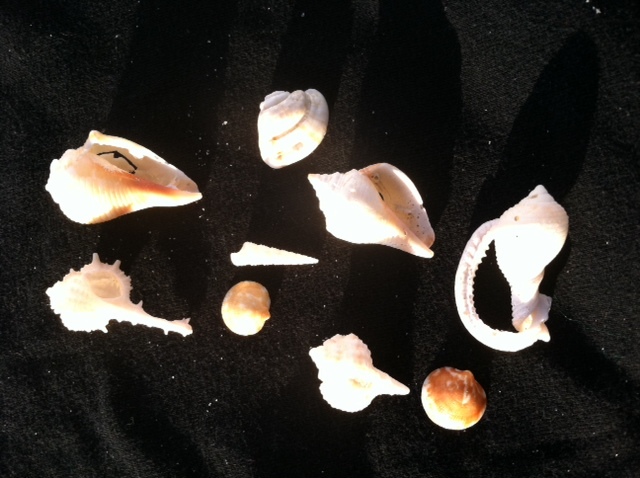 Because the shells were not so plentiful or as large, I began looking a different way. I looked closely for even the small shells that were unique and whole. As I bent over looking through some seaweed, something occurred to me…when the shells are not plentiful, I’m not so picky. I learn to see beauty even in the common shells and the very small ones. Even the ones that are not perfect. One morning as I was looking for “anything” to put in my shell bag, God reminded me that when blessings are common occurrences in my life, and often the blessings are huge as well as close together, I sometimes come to expect that and more on an ongoing basis. Sometimes I don’t even notice the “little blessings” He bestows on me because I’m too busy waiting for the big ones! Now, granted, I love those days filled with joys and big answers to prayer, and I thank God for those blessings, but what I find is when the blessings seem slim, or maybe life is even extremely difficult, I thrill to the very small and rare positive happenings. I don’t tend to take them for granted as I might when blessings are constantly showering down on me and everything seems to be going my way. I learned early on that God teaches me through the tough (slim shelling days) times in life…about Himself, about His faithfulness and His sovereignty. I become more desperate for him in times that are difficult and He always provides all I need…showing off for me time after time. Maybe you are in the midst of great spiritual growth right now and you are seeing blessing after blessing…if so, don’t forget to look for those little blessings along with the big ones that are more obvious. And don’t take this season for granted! If you are in a season of difficulty or dryness, watch for those small blessings along the way. Celebrate and be grateful for each one. Each little blessing means progress! Find joy in little things that might not even get your attention when the blessings are big and constant. I know that I miss lots of little jewels along the shore because I am finding such big ones that my eyes don’t even see the smaller ones. 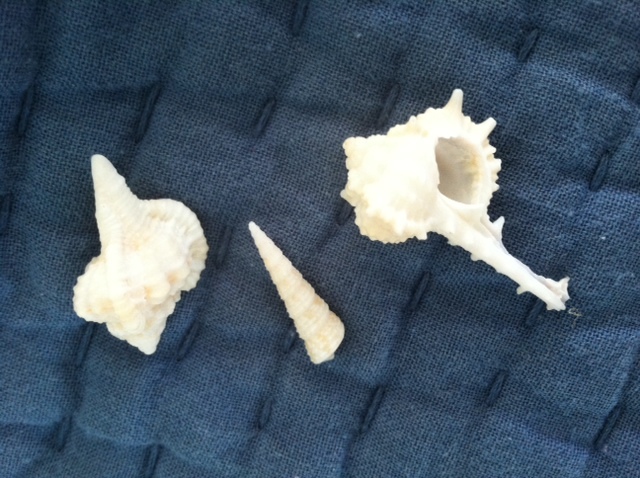 Today, I would have missed these if it would have been what I normally consider a “good shelling day”! But look at these beauties! Beauty, whether looking at shells, or ministry blessings, truly is in the eye of the beholder! What blessings is God showing you today? They are there! If you are having a hard time answering that, ask God to make you aware of the smallest of blessings and to help you becomes more aware and thankful of each one. Soon, the days of lots of shells along the shore will appear!